Check. This. Out. I’m SO excited about the new Whole Foods app! Finally, digital coupons for Whole Foods. Simply download the app from the app store and show the coupons at checkout. Seriously simple and perfect. Right now, there is a $5 off the purchase of $15 produce coupon available. 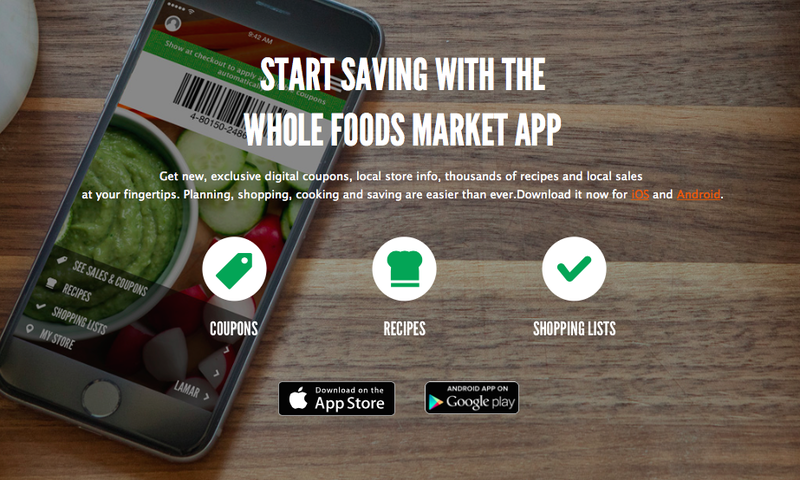 Download the Whole Foods app now!